Colorado Business Magazine names Davis Partnership a Top Colorado Company! 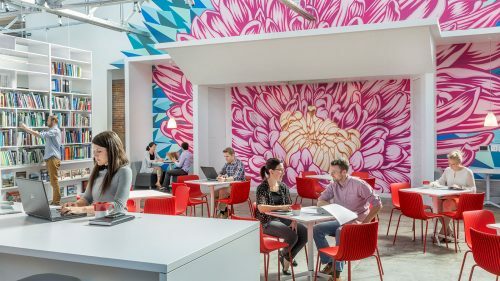 “The comprehensive architecture firm with 181 employees is committed to promoting high-performing and responsible buildings that are efficient and healthy. The company has completed more than 60 LEED-certified buildings of various types and sizes. 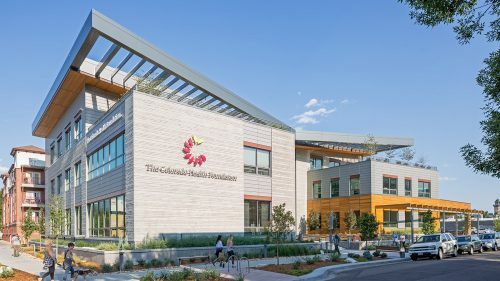 The Colorado Health Foundation headquarters project completed in December 2016 was the first building in the U.S. to achieve both LEED version 4 Gold and WELL Gold certifications. The employees practice what they preach: Their own headquarters building is LEED Gold certified.“A testimony to the outstanding level of service and performance we offer, our exceptional rate of 92 percent repeat clients in the past five years is the key to 51 years of stability and profitability,” firm principal Ann Adams says. The company gives back locally through its Community Outreach Task Force that organizes staff participation in one volunteer opportunity each month. The staff raised nearly $60,000 and assisted 85 nonprofits last year. Employees volunteered a combined 3,000 hours in 2017, far surpassing the company’s “5.0 challenge” issued to each employee to volunteer five hours of time during the firm’s 50th anniversary.